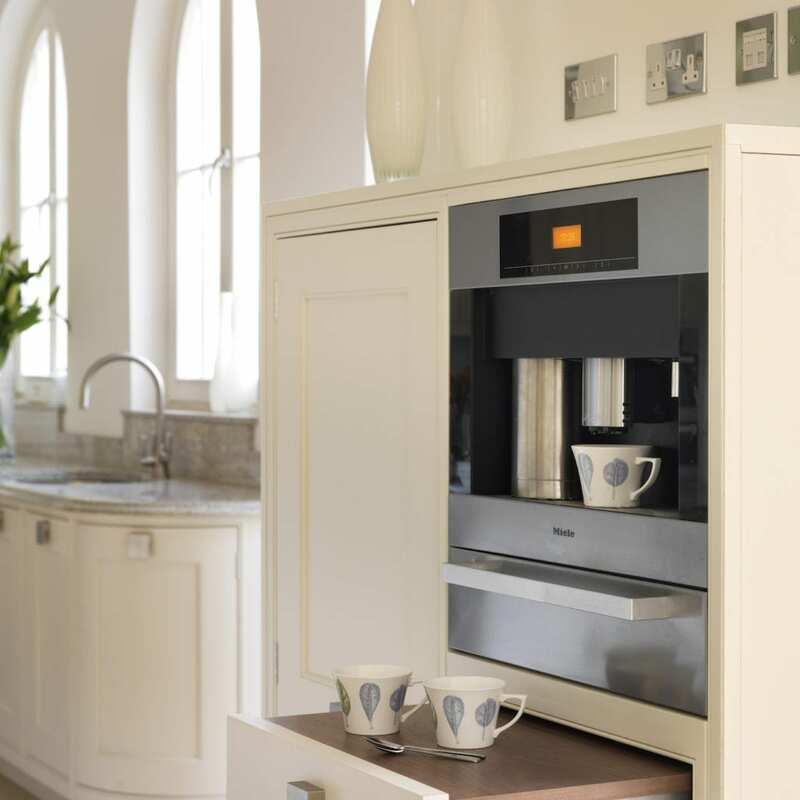 Davonport’s classic ‘Aldeburgh’ kitchen was the perfect solution to Jeanette’s quest for the ultimate classic-contemporary kitchen that could be used both for entertaining friends and family as well as providing a practical food preparation area. 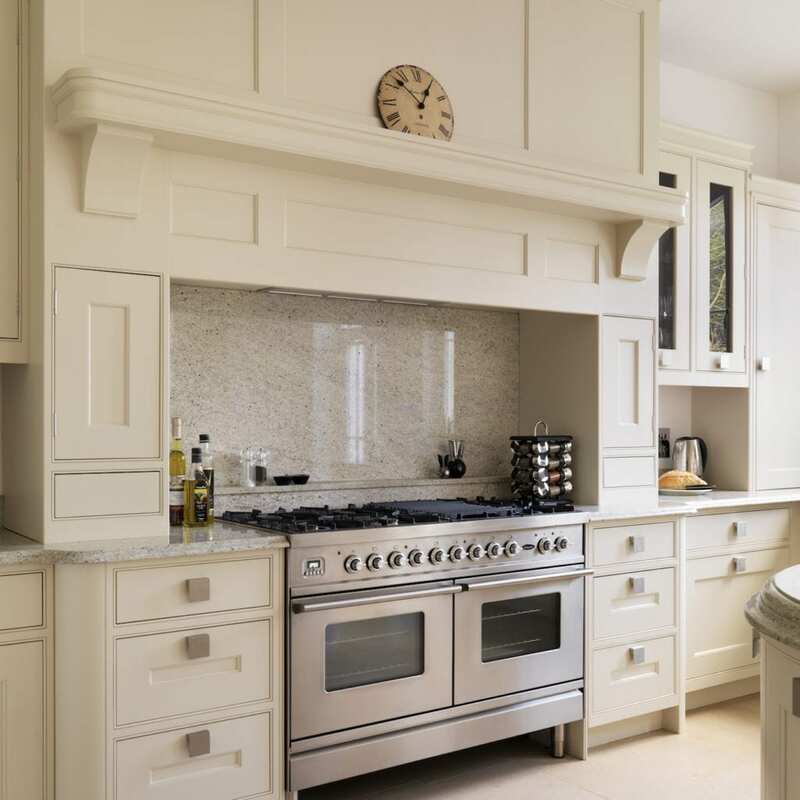 “For me a kitchen is all about bringing people together and I was keen to combine the different materials to create a ‘wow’ factor,” says Jeanette. 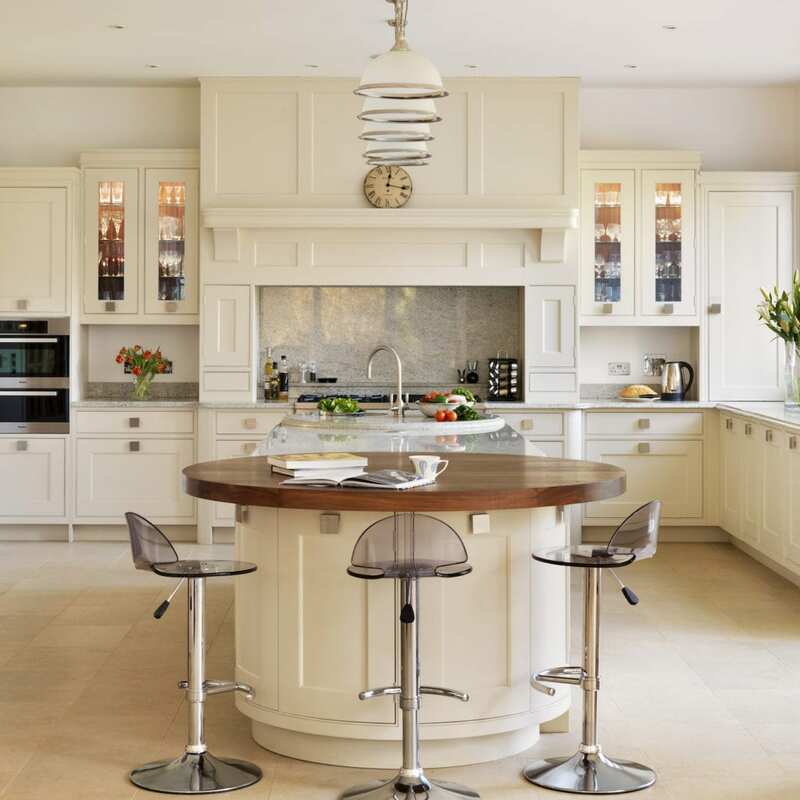 As a property surveyor, Jeanette had seen many kitchen designs and styles throughout her career, but knew she wanted a look which fused the best of British cabinet-making with a contemporary edge, for her own beautiful country home. 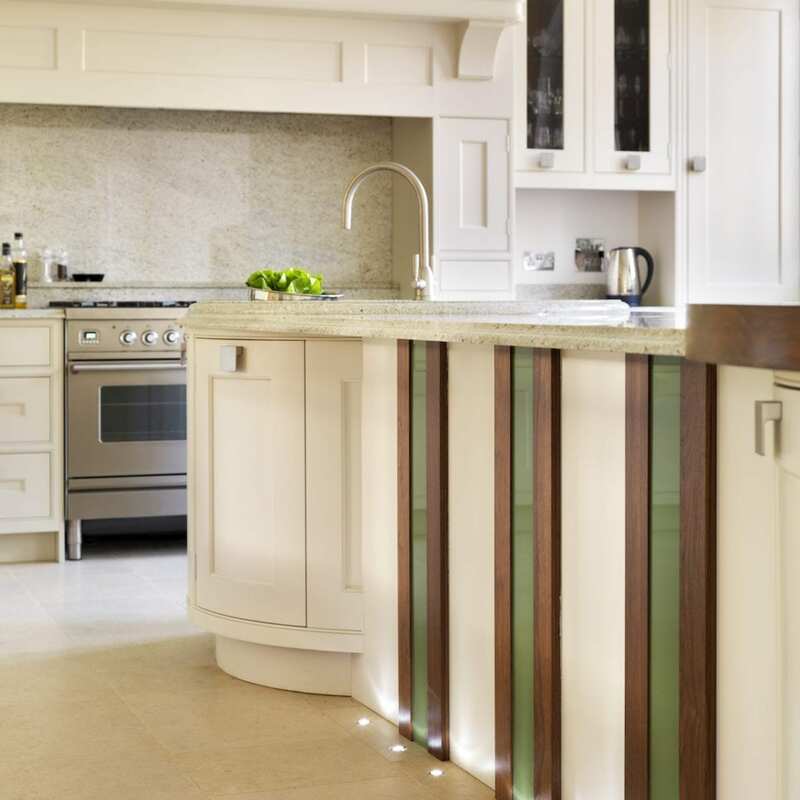 Working closely with the Davonport team at their Colchester showroom and factory, Jeanette selected beautiful hardwood, hand-painted cabinetry as the backbone of the design, and with a grand space to fill – a kitchen leading into the dining room, Davonport’s designers conceived a 4 metre long centre island, forming a stunning centre stage for the very elegant, airy kitchen, featuring serene, cathedral-arch windows. 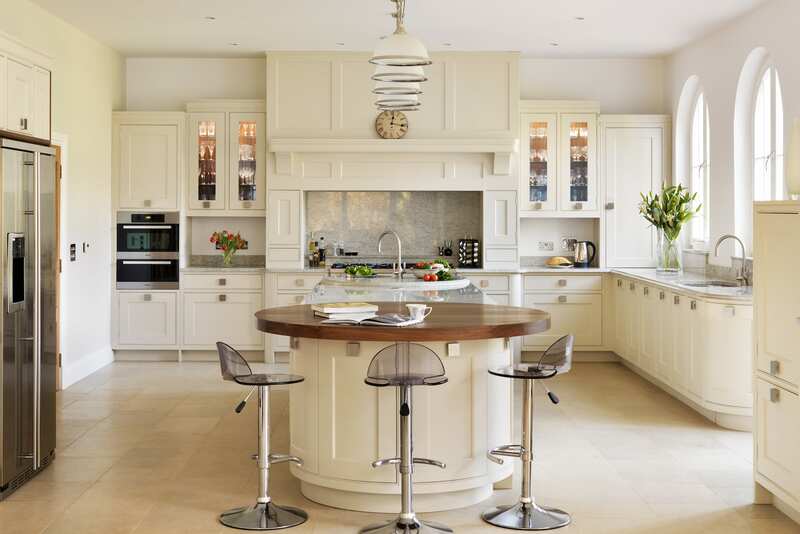 “I wanted to add circles and create a space that was both practical and decorative. I was also keen to echo the curvy shapes of the windows and have a semi traditional kitchen with a bit of quirk” Jeanette explains. With the 4 metre long centre island incorporating perfect circles surfaces at either end, Jeannette’s dream kitchen started to take shape. 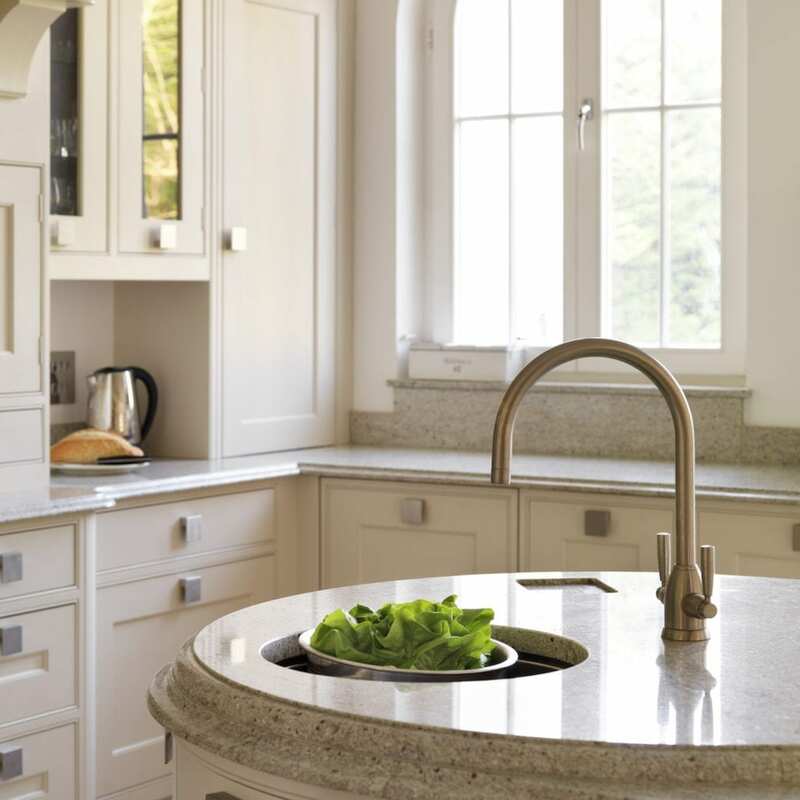 A circle of magnificent walnut formed a table one end of the island, comfortably seating four, the other end was designed as the ‘working end’ and dedicated to food preparation so included a small prep-sink with Perrin & Rowe tap. Centred on the back wall, below a classical ‘Aldeburgh’ Mantle Jeanette’s beloved Britannia range was installed, helping her whip up her masterpieces from fish pie to Christmas dinner for 13… The wine chiller was sensibly positioned within easy reach too, just in-case unexpected guests dropped by and needed a welcoming drink! While the kitchen was being planned, Jeanette lost part of her right arm in a car accident, so adaptations were made with the original design so she could use her cook zone left handed. Davonport designed an integrated chopping board system which sits neatly into a square recess fabricated into the stone worktop. 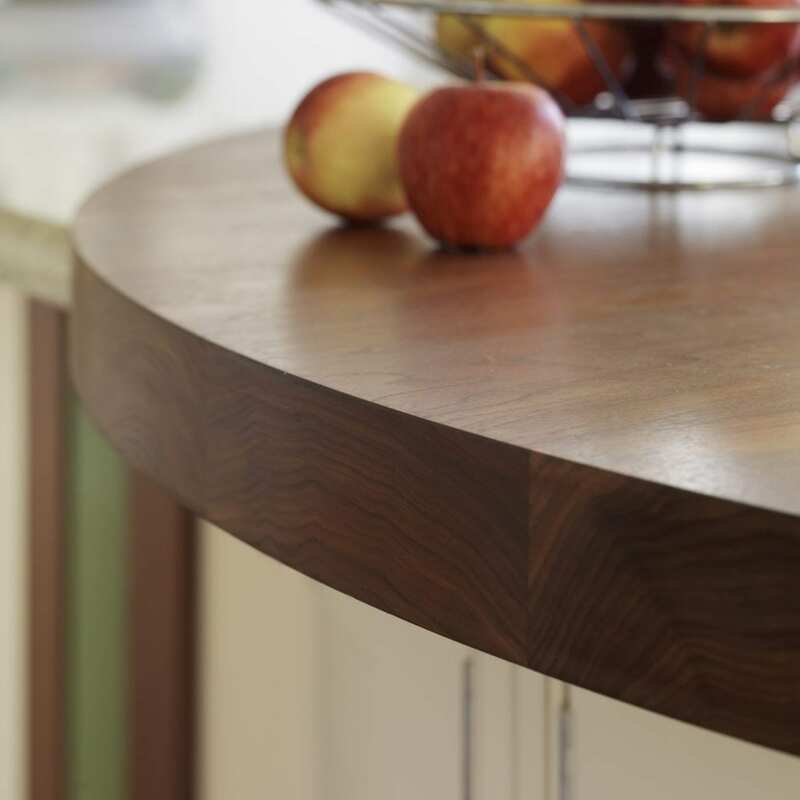 It has bespoke inserts to make light work of slicing bread or veg and to prevent it from wobbling or slipping. 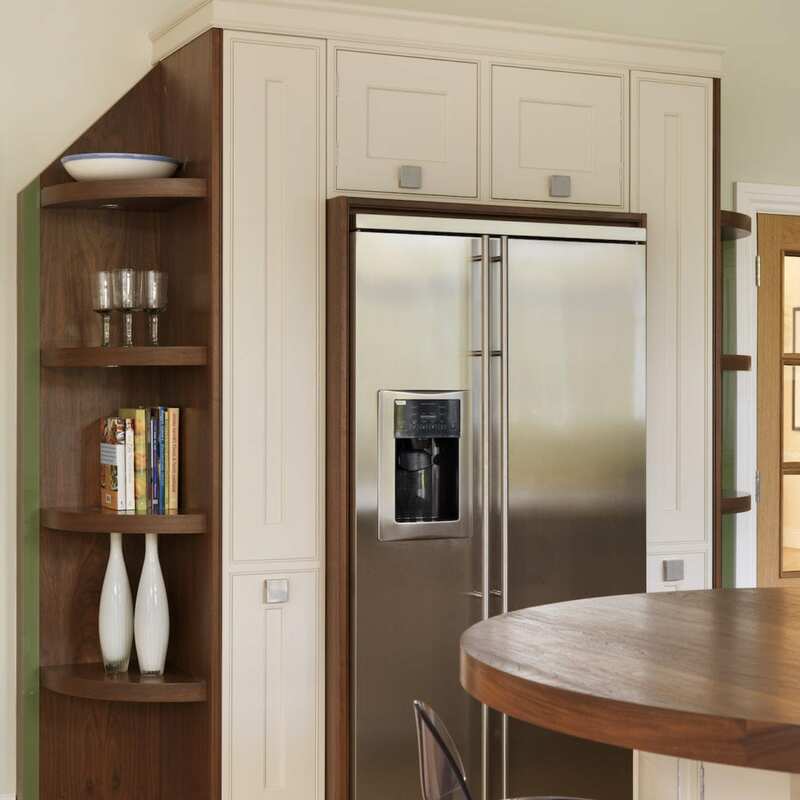 The designer also cut down on the number of wall cabinets and went for deeper pan drawers and pull-outs, so Jeanette didn’t have to reach up to get her bake ware. A further help was placing the Miele dishwasher on the left so it was easier for Jeanette to use and separate hidden bins were located under the sink to help sort recycling with ease.